*A handling fee of £10.00 per item will be added to your shipping total at checkout. 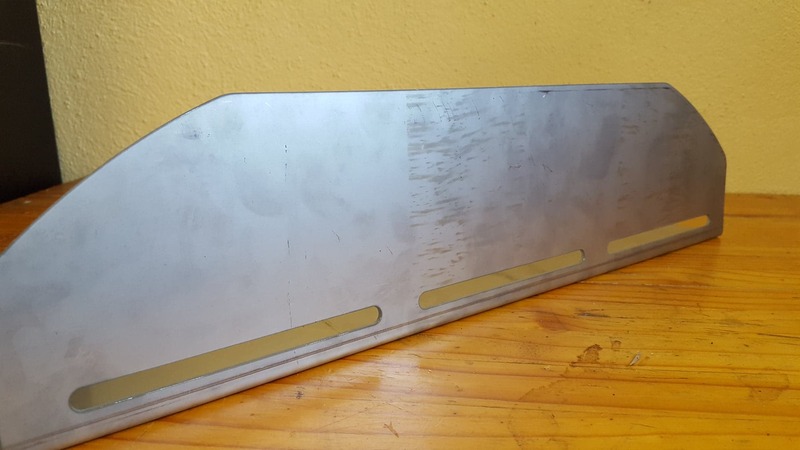 A sturdy but stylish fire retainer/heat deflector made of 2mm thick stainless steel. It will keep your embers in one place, stop ash falling in your cooking and lift your flames up and over the oven roof to create a perfect grilling environment and reduce side burns on your food. There are 3 long narrow holes in the base to allow oxygen to get to your fire and keep your flames burning brightly. The dimensions are 46cm long, 11cm high and 11cm wide.